1. Mention.net being the first one that I would recommend. They offer a free and a paid section. I would start off with the free service first to get a good feel for what they offer. I believe you’ll find this to be a great replacement for Google Alerts, as it not only alerts you of mentions, it also picks up mentions in blog posts, forums, Twitter and Facebook. You can also set it up to send you email alerts – like Google Alerts. After only a few minutes using Mention, you’ll see that it does way more than just simple alerts. 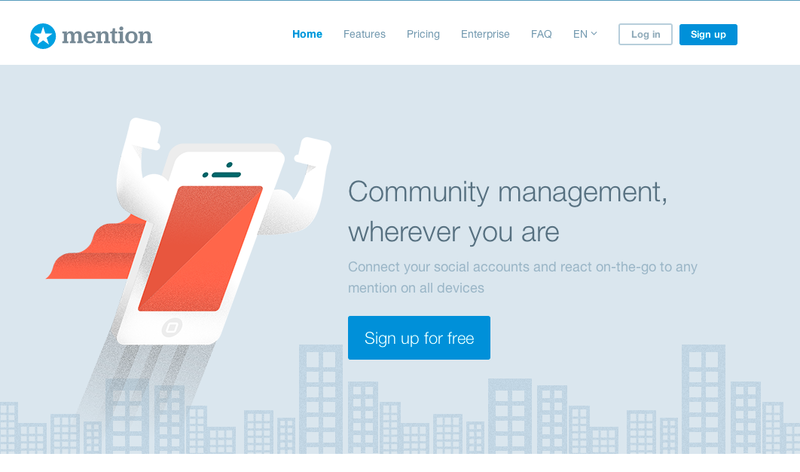 It offers several features that allow you to help manage your social networks. 2. 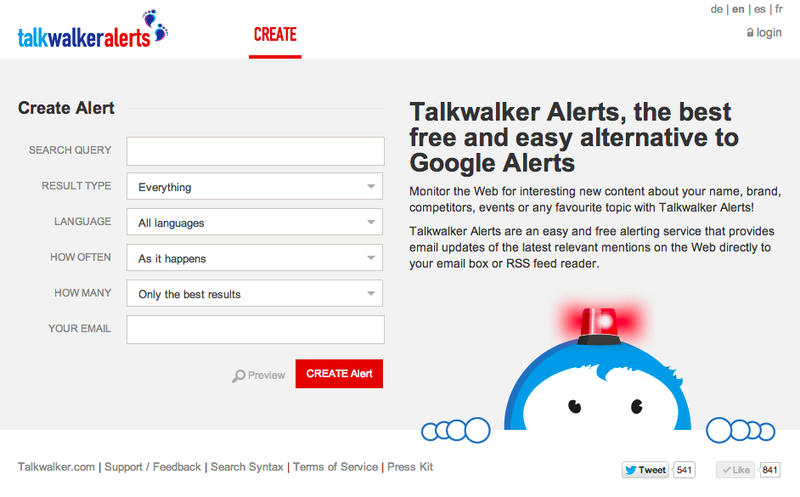 If you’re looking for something to directly replace your Google Alerts service, and something that free, you’ll want to check out TalkWalker Alerts. Talkwalker Alerts is an easy and free alerting service that provides email updates of the latest relevant mentions on the Web directly to your email box or RSS feed reader (like Feedly). Unlike Mention.net, TalkWalker does not monitor Facebook and Twitter for keyword mentions. But again, if you’re looking for nothing more than a direct replacement for Google Alerts, this gets the job done and it’s real easy to set up. I’ve been using both of these services over the last several days. As robust as Mention.net is, I already use Sprout Social to manage DealerRefresh’s social channels. It too provides alerts for social mentions on Twitter, Facebook and recently added Web mentions. It’s hands down one of the best Social Media management programs available. Since signing up and using Sprout over a year ago, I haven’t found anything better. Their iPhone app ROCKS! However, as great as Sprout Social is, it’s doesn’t offer the ability to alert you by email. Who needs email when you have an app right on your phone to alert you? Because sometimes there’s no replacement for simple email. Especially if you want your GM or Dealer Principle, that’s still sporting a flip phone, involved in your dealers online reputation and to receive alerts 🙂 . So what will you use to replace Google Alerts? Side note: We have an older thread over in the forums – What online Reputation Management Tools are you using for your dealer? Feel free to comment over there as well. tomhanaway JessieTadder Thx for mentioning us! Chris Lottman I’ve used socialmention.com a lot, too. Love that site. I’m sad to hear about Google Alerts going away. I was relatively unaffected by the death of Reader (I was already using Feedly on the iPad), but Alerts are a standard part of my morning routine. I will miss Google Alerts as I have several setup for out different stores, and keywords that I want to track. I have the Mention App on my phone, the free version, and it works pretty well.